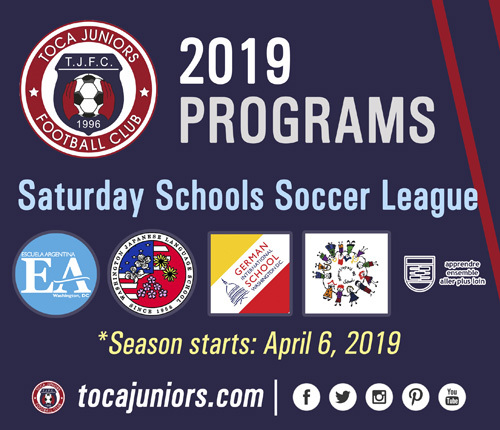 The first game of the 2019 Spring Season will take place on Saturday, April 6, 2019 - 4:30 PM at the Stone Ridge Gator Field in Bethesda. 9101 Rockville Pike, Bethesda, MD 20814. - Finals match day to determine the champions. - Games: $75 per Player. - Jersey: $25 per Player. INTERNATIONAL SATURDAY SOCCER SERIES: WELCOME!